Call it a beauty pageant for state Medicaid programs. Except that it’s extremely difficult to judge. 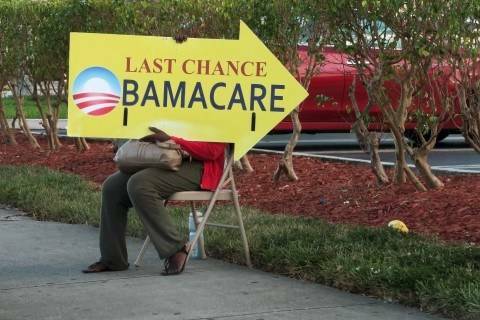 Yesterday, the Trump administration released what it’s calling a Medicaid “scorecard” that compares states side-by-side on 17 measures indicating the timeliness and quality of medical care received by enrollees and how well they’re faring under the insurance program for low-income Americans. The scorecard also includes data indicating how well the federal and state governments administer various components of the program. It’s the first time the Centers for Medicare and Medicaid Services has publicly released such a comparison of state-run Medicaid programs, which have long varied dramatically in how they’re run, the range of services that are covered and who is eligible. Officials said the goal is to bring more transparency to Medicaid, which makes up a large share of federal and state spending, and even incentivizes states to make improvements in areas they’re falling behind. —In Louisiana, just 26 percent of Medicaid enrollees diagnosed with high blood pressure adequately control it, but in Rhode Island, 72 percent do. —The percentage of women receiving postpartum checkups ranges from a low of 21 percent in Oklahoma to a high of 74 percent in Rhode Island. —Just 20 percent of adolescents in Wyoming — but 88 percent in of adolescents in Louisiana — are up-to-date on their recommended immunizations. But there’s a critical caveat here, one that isn’t necessarily the administration’s fault. Many of the data comparisons are apples-to-oranges. Take the blood pressure statistics, for example. Half the states didn’t report that kind of data, so they’re excluded from the scorecard. And of the states that did report it, it’s not even possible to perfectly compare their data. Many states reported results from only a percentage of their Medicaid enrollees: those covered by managed-care plans. A few states reported based on only their population covered by traditional fee-for-service Medicaid. Still others reported data from both populations but excluded people eligible for both Medicare and Medicaid (known in health-policy lingo as “dual-eligibles”). So when you find that in Mississippi just 37 percent of Medicaid patients controlled their blood pressure, you have to keep in mind that the figure is based on just 68 percent of the state’s population in managed care. And outcomes could look a lot different depending on the precise segment of Medicaid enrollees at which you’re looking. Patients in increasingly popular managed care — where private organizations contract with states to provide the care — tend to be healthier than enrollees in traditional Medicaid, where the government pays providers directly. The reason for this data problem is that most of the reporting isn’t mandatory. None of the 17 categories in the new scorecard include reporting from all 50 states, although some data sets are more complete than others. Queried yesterday about whether CMS will eventually require some reporting, Verma didn’t promise such action — but didn’t rule it out, either. Even as she acknowledged the data discrepancies, Verma said the scorecard is an important first step in giving regulators, members of Congress and the public the start of a way to view which states are underperforming in key health-care metrics. There was a relatively muted response from members of Congress. But Rep. Mike Burgess (R-Tex. ), who heads the House Energy and Commerce’s Health subcommittee, called it a “prudent step.” “The announcement of these new score cards will harness existing Medicaid data for each state, boosting transparency and providing more information for the public,” Burgess said in a statement. AHH: Yesterday, the Supreme Court dismissed a lower court’s decision that allowed an undocumented immigrant teenager to obtain an abortion over the protests of the Trump administration. The action, which came in an unsigned opinion without noted dissents, throws out a precedent that might allow other teenagers in the same circumstance to obtain an abortion, The Post's Robert Barnes reports. But the court didn't agree with a request by Trump's lawyers that American Civil Liberties Union lawyers who represented the girl be disciplined for their actions in the case. The 17-year-old girl, who said she'd been raped, was allowed to obtain an abortion last fall amid a heated and complicated legal battle. Unsealed court documents show that the head of the Office of Refugee Resettlement had initially denied her access to abortion services, but a doctor performed the abortion before government lawyers had time to appeal a decision by the federal appeals court in the District. The Supreme Court said yesterday it didn't need to determine who was at fault to decide to throw out the lower court’s decision. OOF: The March for Our Lives movement that was launched by students who survived the school shooting in Parkland, Fla., is planning a tour across the country to register young people to vote. 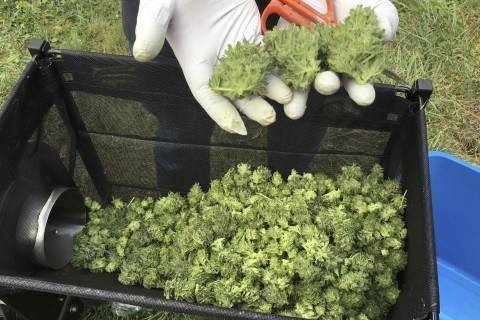 The tour, which will begin on June 15, has a dozen stops over 60 days, planned for California, Connecticut, Iowa, Missouri, South Carolina and Texas, with another tour planned to make 27 stops in each of Florida’s congressional districts, The Post’s Lori Rozsa and Katie Zezima report. “The students have taken particular aim at the NRA and politicians who receive support from the organization, and gun control advocates have started the #votethemout movement to remove those politicians from office,” Lori and Katie write. OUCH: The Pentagon’s investigative watchdog has initiated a probe into Ronny Jackson, the White House military doctor who in April withdrew from consideration as Trump’s nominee to lead the Department of Veterans Affairs amid allegations of improper conduct, The Post's Paul Sonne reports. The Defense Department Office of Inspector General confirmed yesterday it recently initiated a probe into Jackson. "The investigation marks the latest fallout from Trump’s attempt to elevate his physician to the Cabinet, a move that ended in Jackson’s nomination falling apart and left the military physician’s highflying career under scrutiny by Pentagon investigators," Paul writes. "The Defense Department inspector general has the authority to conduct administrative and criminal investigations. A spokesman for the office declined to say whether Jackson was the subject of an administrative or criminal probe." — President Trump is scheduled tomorrow to sign the VA Mission Act, which is meant to ease the burden on VA hospitals and clinics by making it easier for veterans to access private care. The Health 202 wrote last week about the hefty new law – and the task that awaits the next Veterans Affairs secretary. — Yesterday, first lady Melania Trump appeared at a Memorial Day reception for fallen members of the military, after more than three weeks away from the public. Her absence, which came after she underwent an embolization procedure to treat what the White House called a "benign kidney condition," had fueled wild speculation about her health and well-being. — A Florida woman diagnosed with breast cancer is now free of the disease two-and-a-half years after receiving a therapy that used her own immune cells to target the tumors, our colleague Laurie McGinley reports. 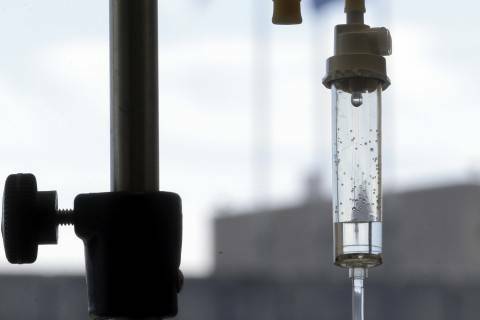 The woman is one of three patients who had striking recoveries after being treated by a team at the National Cancer Institute led by Steven Rosenberg, an immunotherapy pioneer. The other women had deadly liver cancer and advanced colon cancer. “I’d rather help find something for the other kids that will get DIPG than to not help at all,” she explained. — Last week’s vote in Virginia to expand Medicaid marked a major shift for the state’s Republican-controlled legislature, which for years blocked expansion. There are more Democrats in the House of Delegates following November’s election, but that doesn't fully explain the vote, our colleagues Gregory S. Schneider and Laura Vozzella report. The deal to approve Medicaid expansion was a win for “old-school negotiating" for the state’s veteran lawmakers, who began meeting quietly after the election in November. “Both sides say there was no quid pro quo — no deals for votes. But there were gestures of good faith,” Gregory and Laura write. “[Gov. Ralph Northam (D)] pledged not to upset the GOP’s narrow majorities in the legislature by appointing Republican lawmakers to his Cabinet, while Republican leaders quietly quashed socially divisive bills on abortion." — Former president George H.W. Bush was discharged from a hospital in Maine yesterday after being treated for low blood pressure. “The president is deeply appreciative both for the terrific care and the many good wishes he has received,” family spokesman Jim McGrath said. The 41st president was hospitalized over the weekend for low blood pressure and fatigue after going to a pancake breakfast at the American Legion post in Kennebunkport, The Post’s John Wagner reports. Liberals and moderates view it as akin to drinking, but conservatives differ. Gov. 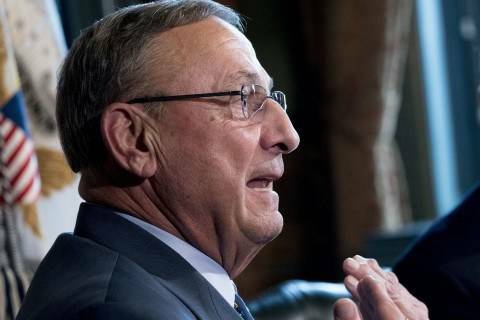 Paul LePage's administration must file paperwork by next week to the federal government to adopt Obamacare's Medicaid expansion in Maine, a state Superior Court judge said Monday in a decision rebuking the defiant Republican governor. 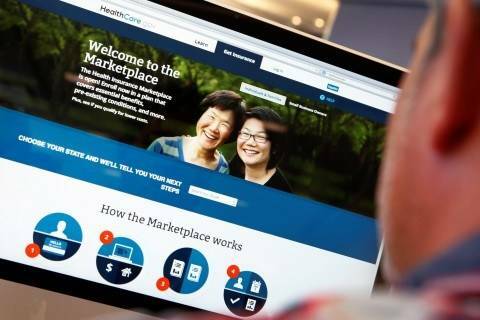 ObamaCare insurers in New York and Washington state are proposing double-digit rate hikes for 2019, citing recent and upcoming changes to the law. States trying to overturn the law in courts are hoping that the two Texans will improve their case with the courts. Dr. Ned Sharpless says there's good reason to stop being so "sheepish" about uttering "cure" when it comes to cancer. 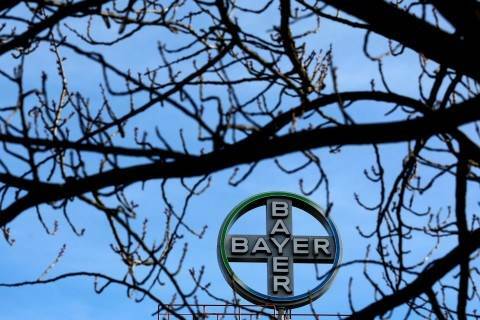 Germany's Bayer will wrap up the $63 billion takeover of Monsanto on Thursday and also retire the U.S. seeds maker's 117 year-old name. The House Financial Services Subcommittee on Housing and Insurance holds a hearing on the “Homeless Children and Youth Act of 2017” on Wednesday. The House Energy and Commerce Subcommittee on Health hold a hearing on “Examining the Reauthorization of the Pandemic and All-Hazards Preparedness Act” on Wednesday. HHS Secretary Alex Azar testifies before the House Committee on Education and the Workforce on Wednesday. The House Ways and Means Subcommittee on Health holds a hearing on lowering health care costs and expanding access onWednesday. The American Enterprise Institute holds an event on “The 2018 Medicare Trustees Report” on Wednesday. The House Small Business Subcommittee on Investigations, Oversight, and Regulations will hold a hearing titled “Vets First? An Examination of VA’s Resources for Veteran-Owned Small Businesses” on Thursday. The House Veterans Affairs Subcommittee on Disability Assistance and Memorial Affairs holds a hearing on memorializing veterans on Thursday. The House Veterans Affairs Subcommittee on Health holds a hearing on the “Potential Health Effects of Burn Pit Exposure among Veterans” on Thursday. The American Enterprise Institute holds an event on the opioid crisis and foster care families on Thursday. The Senate Health, Education, Labor and Pensions Committee holds a hearing on prescription drug costs on June 12. White House press secretary Sarah Sanders said the media writes about things that "the American people don't care about:"